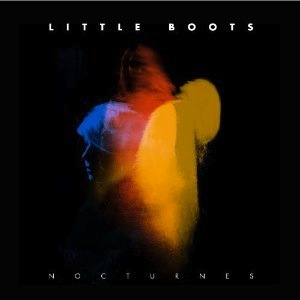 It’s almost hard to believe that Nocturnes is only the second proper LP of the UK’s Victoria Hasketh, known professionally as Little Boots. Since 2009’s Hands, a promising and – in many ways – remarkable debut, she has been building up international fame with extensive touring on three continents, never going off the radar completely. It seems that she used that time to focus on her musical direction, too. Hands was a brash statement of ‘80s-inflected electronic pop, painted with bold brushstrokes; on Nocturnes, however, Little Boots tries to progress beyond that decade’s influence and grandiosity, which ends up being the source of both the album’s strengths and weaknesses. On the one hand, the more stripped-down production gives more room for her songs to develop and ensnare the listener, and we can definitely see peppy numbers such as “Confusion” becoming big hits. However, “All For You” reminds us that Little Boots comes off better when sounding like Madonna than Ace Of Base; our biggest gripe with the album is that sometimes it tries too hard to be “of the moment,” and Hasketh’s personality gets lost in the ‘90s-referencing mix. When it’s there, however, it shines more than ever before.